This Local Geodiversity Site gives us the opportunity to look at some local Carboniferous geology (Lower Limestone Formation and W. Lothian Oil Shale Formation), and some aspects of the fluvial geomorphology of the Burdiehouse Burn. 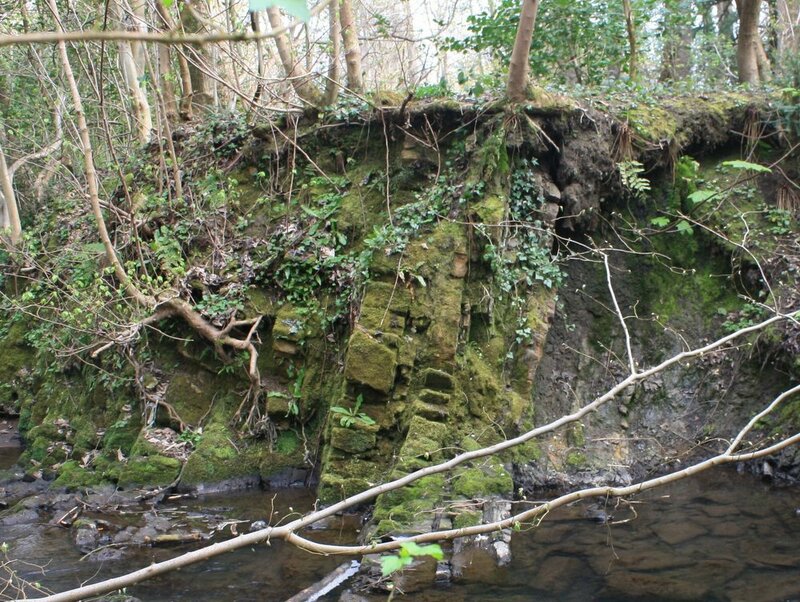 We will also consider the misfit nature of the present channel in relation to the valley, the local industrial archaeology and the historical built environment. The party will meet at the first locality at the Moredun Woods gate on the corner of Ellen’s Glen Road and Gilmerton Road (A772) EH17 7QA. Public transport by Lothian buses 3,8,29 to start of walk. The walk will follow the Burdiehouse Burn along paths from Moredun Woods to c0.8km south on good footpaths. Total walking distance c1.6km. Total ascent c75m. Aldi store on Gilmerton Road. Mitchell, G.H. ; Mykura, W.; Tulloch, W.; Knox, J. 1962. The geology of the neighbourhood of Edinburgh (Explanation of sheet 32) (Third Edition) (reprinted 1980).